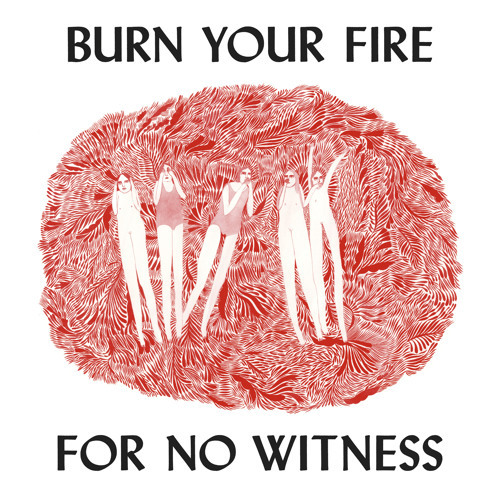 Until now, Angel Olsen had been crafting some of the most intimate folk music around, just her acoustic guitar and hypnotizing, siren-like vocals that sent straight into the soul and locked its claws into it. So to discard that intimacy, pulling a Bob Dylan and going electric on "Forgiven/Forgotten", seems downright absurd. Yet, both surprisingly and unsurprisingly, Olsen makes "Forgiven/Forgotten" feel like its been her style for years. It has tints and the same drive of St. Vincent's "Actor Out of Work" as filtered through Eleanor Friedberger's loopy solo work. The song feels both steady as hell with its constant drum beat and guitar riff, but somehow has room for off-kilter elements to seep in; a crunchy guitar riff, or Olsen's constantly fluctuating vocals, which get more desperate as the song zips along its brisk two minutes. "Forgiven/Forgotten" is a illogical plea for someone, something Olsen has tackled before, but never with the emotions this forward, with every characteristic now literally amplified and enhanced.